This class will teach you how to print and embellish your own custom fabric. In Week 1 you will learn how to pull silkscreen prints and create your own unique piece of richly layered printed fabric using hand cut stencils and screens prepared in advance with a collection of design elements you can layer in different ways. In Week 2 you will add depth and detail to your piece with some simple embroidery stitches. All materials are provided and you will leave class with a beautiful piece of embellished fabric (you may not finish your stitching during class but we will get you well on your way!). 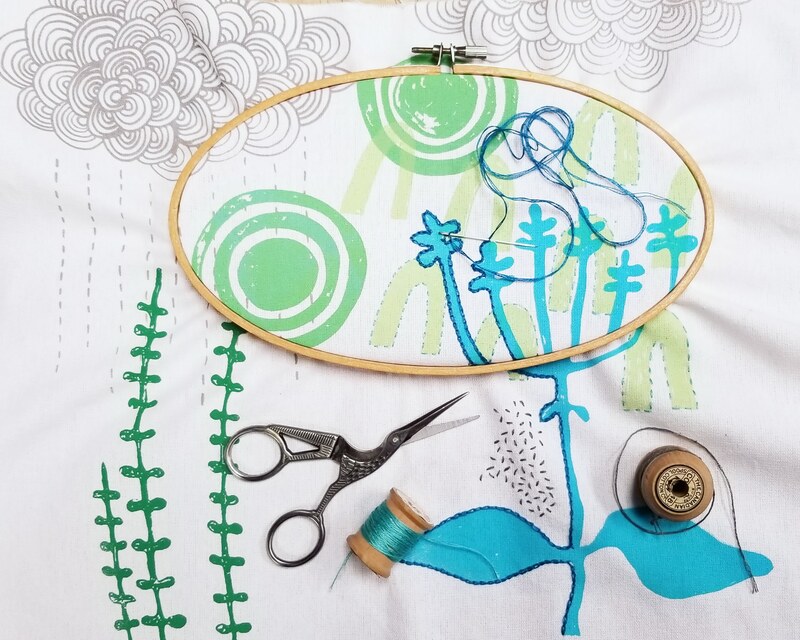 No printmaking or embroidery experience is necessary, although a basic knowledge of hand sewing will help you get started. This class runs for two weeks on Wednesday evenings, April 10 and 17, from 7-9:30pm.